Fiordland Jet have been operating on Lake Te Anau and the Waiau river for 15 years. Tours can take you along the Waiau river, where the water is so clear you can easily see glistening fish, to Lake Manapouri, with its surrounding mountains. Tours can include native bush walks, wildlife spotting, and Lord of the Rings locations. Some tours include spectacular flights onto mountain peaks, where you can see surrounding remote national park and marine reserves from the sky. Fiordland Jet are passionate about New Zealand’s native flora and fauna; on your tour learn all about the native forests, birds, and marine life that make New Zealand and this UNESCO World Heritage site; Te Wāhipounamu, so unique. Chris and Jerry love the great outdoors, jet boating, Southland and Fiordland. The team at Fiordland Jet are kiwis who have spent their lifetimes on the water; jet boating, water-skiing, kayaking, and fishing around Fiordland National Park’s beautiful lakes and rivers. They want to share the magical experience and unique beauty of Te Anau and Fiordland with the rest of the world! 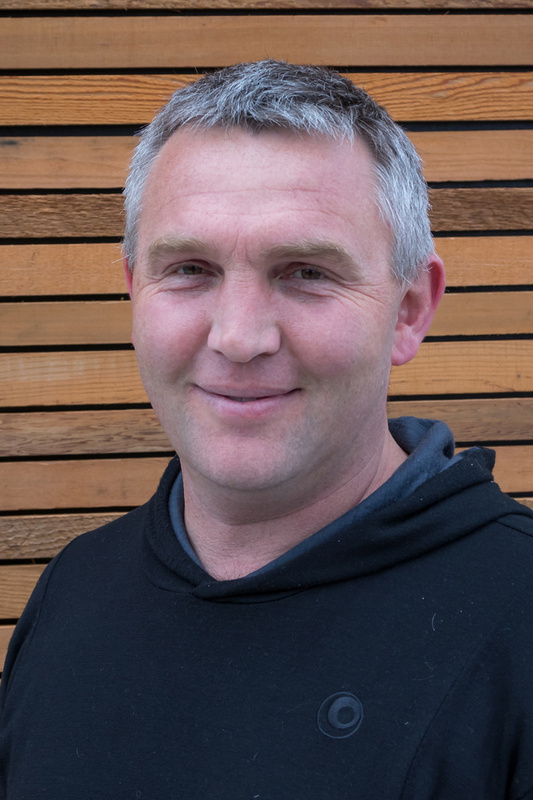 Chris is a local Southland farmer who has always spent loads of time in beautiful Te Anau. He considers Fiordland his backyard. 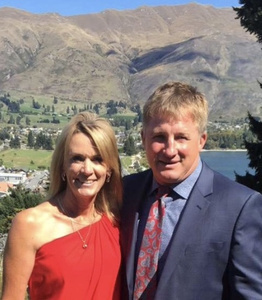 Holidays are spent on the lake for Chris and his family, where they spend time water skiing, boating, fishing and enjoying eachother's company. 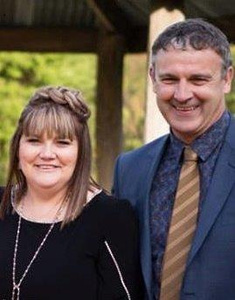 Chris and his wife Sue (who co-owns Fiordland Jet) have three grown children, Matthew, Rebecca (one of our boat drivers) and Nicole that spend as much time in Te Anau as possible. They love this pristine area of the world and want to share their backyard with visitors to New Zealand. For Chris, Fiordland Jet is about meeting new people and showing them this part of paradise that he is lucky enough to call home. He enjoys having a chat to learn about the people he meets and their unique culture, as he has traveled extensively. He’s part of this business to have some fun, because after all, fun is good! 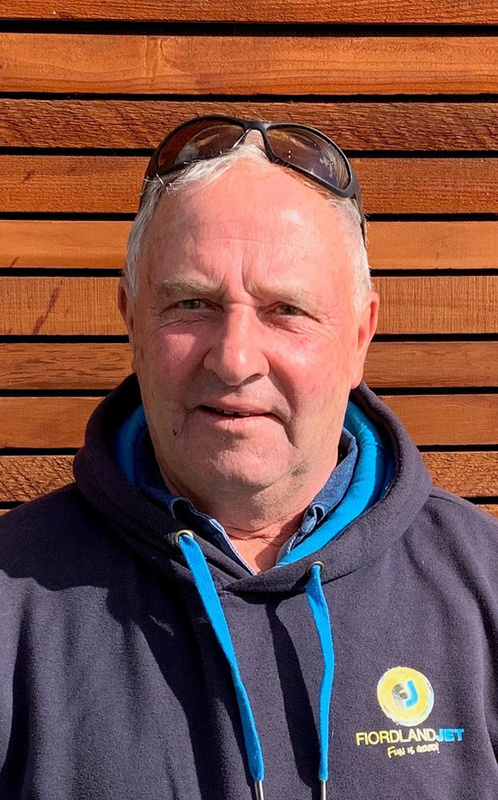 Jerry Excell spent all his childhood holidays on lake Te Anau, and has worked out of Fiordland as a commercial cray fisherman for over 25 years. In fact, for the last 10 years Jerry has been a Fiordland Marine Guardian, which is a government appointed position to maintain and protect the Fiordland Marine area for its users. 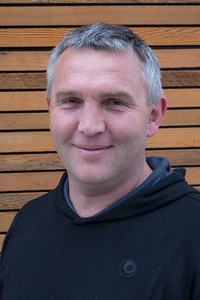 He has participated in fisheries research and management to work towards sustainable fishing practices in Fiordland. 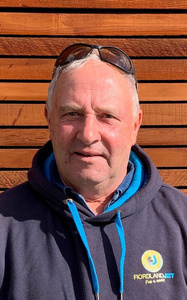 Jerry has an infectious enthusiasm for jet boating, and for him safety is paramount He has spent 15 years as the safety boat for Jet Boat Racing New Zealand. Jerry enjoys the energy and enthusiasm people in the New Zealand tourism industry have, and is looking forward to sharing his enthusiasm for Fiordland with visitors to New Zealand. He has spent countless hours fishing, diving, water skiing and jet boating around lake Te Anau with his wife, Kelli (Fiordland Jet co-owner) and their two children; Holly and Jake. He’s passionate about living and playing on the water, and sharing this beautiful and fun recreational spot with the world. Also known around town as 'Mrs. Possum' thanks to her sparky husband, Adrienne is the newest member of the team. With a passion for fitness and the outdoors, you'll often find her out on the bike and running trails in the area or shuttling her two sons to and from their various activities. 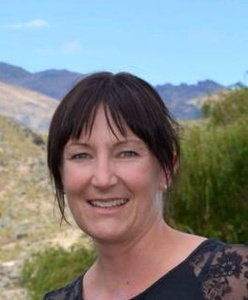 She is highly involved in the Te Anau community - most notably for founding and organising the 'Te Anau Enduro,' which brings 150+ people to town to enjoy the beauty of Fiordland while they break a sweat biking, running and kayaking. 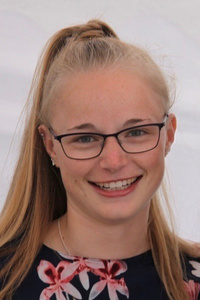 Visitors to Fiordland Jet will be greeted by her infectious smile as she kits them out for their jet boat tour or shares a local's insight into the best way to spend time while in Fiordland! Our token American and self proclaimed 'Original FJet Team Member' - came to New Zealand in 2017 to travel for just 2 months - she still hasn't left - and we just can't seem to get rid of her! Like most people, Abby fell in love with Fiordland and especially the people of Southland. Although very new to the tourism world, she's excited to welcome visitors and show them the same kindness and hospitality she enjoyed while traveling. Abby does a bit of everything around here - from sales and marketing, to driving the bus and even boats (we think she's the only female-American with a NZ Commercial Jet Boat License). On days off, you'll find her out exploring Fiordland as she discovers even more to love about this amazing area. Nathan wears many hats these days - from driving jet boats for us to scrubbing toilets and cooking eggs at the B&B Shakespeare House, which he and his partner own here in Te Anau. These new ventures have been an exciting new twist from his previous career as an animal genetics manager and he's taking full adventage of the move to such a beautiful area: walking the Milford Track is one adventure he will not soon forget! Although the B&B keeps Nathan very busy, we are lucky to pull him away for a few 'special guest apperances' guiding trips - you can imagine he's quite keen to ditch the cleaning brush for a few hundred horsepower and some crisp Fiordland air.